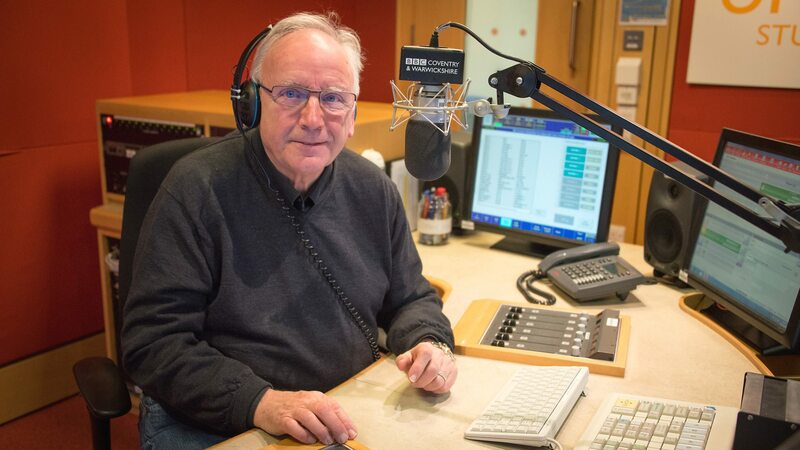 Perhaps you know him best these days for the countless TV appearances as presenter, judge or pundit, from his shows on regional radio in the Midlands, or – going back a bit further – as a club DJ. Alternatively, you maybe more aware of his hands-on involvement with Britain’s rail industry, building from scratch successful train businesses, creating hundreds of jobs, salvaging and preserving steam locomotives and championing model railways en route. 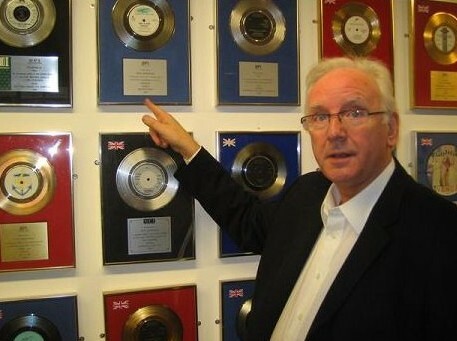 But Pete Waterman’s place in the history of popular cultural was cemented in the mid to late ‘80s and early ‘90s as the catalyst of a music production and songwriting partnership that scored more than 100 UK top-40 hits. 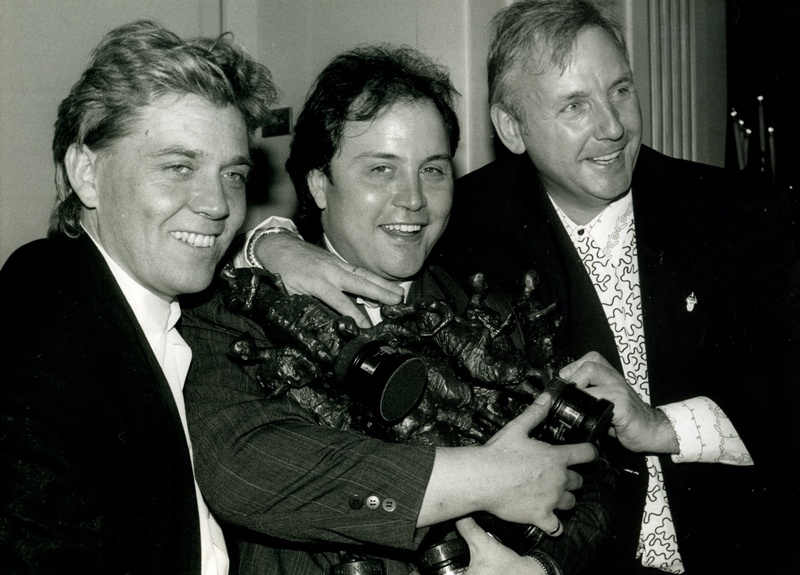 Stock Aitken Waterman sold a staggering 40 million records and earned an estimated £60 million, working with a who’s who of pop over that period, from Rick Astley and Kylie Minogue to Donna Summer and Steps. And at the heart of the trio’s PWL label, Pete was clearly the prime mover, his many accolades along the way including 13 Ivor Novellos, despite having left school unable to read or write. What’s more, Pete remains as passionate about music today as he was working as a DJ for the Mecca organisation in his youth. So whatever you do, don’t mention retirement to this 70-year-old pop impresario, as I did early on when I tracked him down to his London office. In fact, I started by mentioning another septuagenarian I’d just spoken to for these pages, legendary Mott the Hoople front-man Ian Hunter, 78 years young and still touring and writing acclaimed material. So now Pete’s hit 70, has he any ambition to retire? “Not at all! Then again, I don’t perform like Ian does. If he’s still out there playing, that’s fantastic! Those guys were brilliant, coming in that post-Beatles pre-Bowie era, lucky to catch that brief time period, I guess. So when was the last time Pete DJ’d? Us of a certain age remember that well, late night TV after a night out, if you weren’t out clubbing yourself, with Pete joined by Michaela Strachan in a Granada show that ran from September 1988 to December 1992. And in the region I later settled, it seemed that a fair few people knew some of the more prominent dancers that popped up on screen most weekends. Take That’s Jason Orange was one, as were a couple of members of 911. While he was talking to me from the heart of the capital, Pete remains part-based in the North West, not far from Mr Smith’s, the club from which his hit show was first broadcast. The capital’s received a few hard knocks of late, not least from the Westminster and London Bridge terrorist attacks. But it seems that Pete’s not ready to move out yet. Pete’s heading back to the North West for the Hit Factory Live Show on Saturday, August 26th though, part of the Livewire Festival at Blackpool’s Headland Arena over the August bank holiday. He’ll be appearing alongside and introducing several ‘80s and ‘90s superstars from his stable, not least Jason Donovan, Pepsi and Shirlie, Go West, Samantha Fox and Sinitta, plus Nathan Moore (Brother Beyond) and Undercover. Is there still strong competition among his acts? “There was never competition for us. We didn’t allow that. You were there to enjoy yourself. If there was, you were in the wrong business. If you’re not enjoying it, don’t do it. We always said it could last five minutes, five weeks, or five years, so enjoy every moment. If you don’t, you’ll regret it. “The great thing is we look back over 30 years or so and we’re still all friends. I went to a friend’s funeral yesterday, and you go back and think, ‘We’ve had a charmed life, we did what we wanted to do and have such fantastic memories’. There’s clearly a strong 80s’ retro market out there too, with Bananarama the latest PWL-associated act reforming. Pete left school at 15 in 1962 to work for British Railways, becoming a steam locomotive fireman based in Wolverhampton until his Stafford Road depot closed in 1963, choosing music instead, inspired by The Beatles. That gives me the excuse to talk trains, telling Pete my Dad was a steam loco fireman from 1953 to 1961. I add that he reluctantly left British Railways to become a postman, hoping to support his growing family better. So how about Pete – would he have changed his own career path, given the chance, and carried on where he started? It was the same with my Dad. Getting out of that industry when he did, he at least retained his love of railways, never losing that passion. And that’s clearly the case for Pete too. He’s said to be worth around £30 million these days, according to the Sunday Times Rich List, and has been involved in several railway ventures. For instance, in 1988 he revived the name of the London and North Western Railway (LNWR), involving a rail vehicle maintenance business based at Crewe, with depots across the country, by the time of its sale the largest privately owned rail maintenance business in the country. That was sold in 2008 to Arriva UK Trains, but there’s also the Waterman Railway Heritage Trust, which owns several steam and diesel locomotives. and then there’s his interest in model railways, his Just Like the Real Thing initiative specialising in O-gauge kits, having spoken about how his ability to become absorbed in making models helped him cope with the death of his eldest son. And as an avid collector his frustration at a lack of high-quality model railway kits on the market saw establish his own company, now widely regarded as a world leader and creating and sustaining jobs at the factory where the kits are made in Scotland. Furthermore, in 2007 he became involved in a co-operative UK rail industry bid to create a national railway training scheme under the Labour government, halted in 2009. So, while I’ve got him on the subject, I ask – as a leading employer and innovator in the rail industry – what he makes of plans for a return to nationalisation of the railways. Something needs to be done, doesn’t it? “Yeah, but once we renationalise the industry it becomes fat, lazy, and we go backwards. We need to rebalance, but you have to understand that every Government since 1948 except the last Tory one, under Patrick McLoughlin, has failed to put the money in. And five years of that has not made up for 55 years of under-investment. Yes, we’ve spent billions, but we needed to spend trillions, because our railway system is so far behind. Having left the locomotive cab in the early ’60s, he started to build an impressive record collection, not least through acquiring rare US imports, his subsequent DJ-ing taking him across the UK, entertaining bigger crowds with a blend of classic R’n’B and soul. At one point, he was supplementing his income by work as a gravedigger then as a General Electric Company apprentice, becoming a trade union official. Gaining a residency with Mecca, initiatives such as matinee discos for under-18s in Coventry gave him valuable insight into what music interested young audiences. And it was at Coventry Locarno that he met long-time friend Neville Staple, later co-vocalist for The Specials, a band he went on to briefly manage, even going on to write the foreword to Staple’s biography, Original Rude Boy, in 2009. 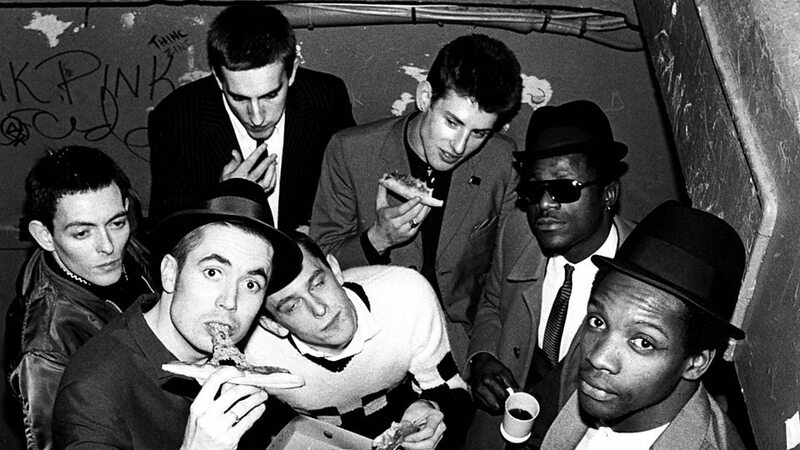 Did Pete recognise the themes of urban decay, unemployment and violence in the inner cities The Specials sang about in their evocative 1981 No.1 hit, Ghost Town? In an early A&R role for the Philadelphia scene, Pete introduced the Three Degrees to the UK, a later move to Jamaica then seeing him work with Peter Tosh and Lee Perry, and produce Susan Cadogan crossover hit Hurts So Good. By 1979, he’d set up Loose Ends with Peter Collins, hits with artists like Musical Youth and Nick Kershaw following, setting up the PWL (Pete Waterman Limited) label in 1984. Soon, he signed producers Matt Aitken and Mike Stock, Hazell Dean’s Whatever I Do the first of many successes, with 22 UK No.1s following, including those with Dead or Alive, Kylie Minogue, Bananarama, Steps, Mel and Kim, Donna Summer, Sinitta, Cliff Richard and Jason Donovan. But throughout his varied career, it seems Pete’s never sought to rely on one project. Is that a secret of his success? Even as an enterprising young boy, he cycled between churches earning a few shillings singing in their choirs. Was his sense of business acumen better than his voice? His success in the music industry was recognised through honorary doctorates from Coventry University (2001) and the University of Liverpool (2004), and an OBE in the 2005 New Year’s Honours List. 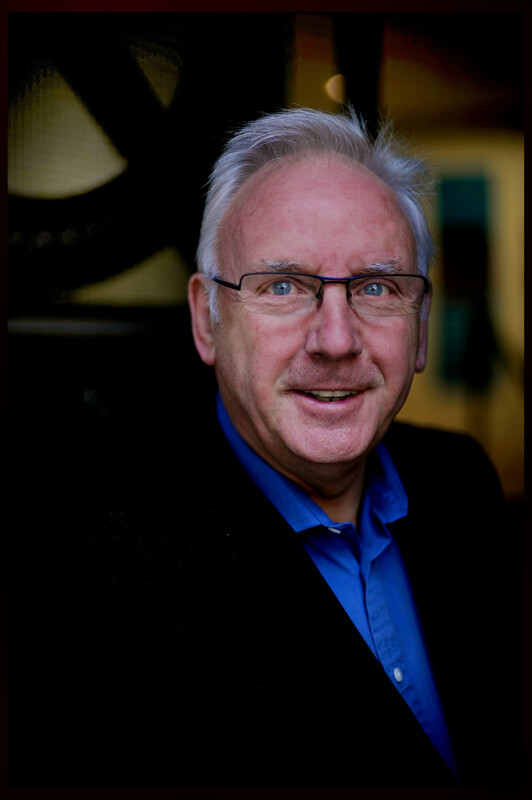 What’s more, he remains on board with local enterprise and training initiatives as well as his rail ventures, this thrice-married father-of-four also having seen four books published, including I Wish I Was Me: The Autobiography. And all that despite dealing with dyslexia, the music industry’s ‘Man of the Year’ in 1990 not learning to read and write until in his 40s. Did his dyslexia help fire him up in a bid to succeed? Or did it put barriers in his way from day one? Do you think things are easier for today’s generation in a similar position, now it’s better recognised? It would be easy for this punk and new wave fan to write a former Pop Idol judge off as just another symbol of the established music industry, the ‘hit factory’ Pete created arguably a key influence on the current dearth of TV music talent shows. For that alone some of us may feel we should disown his pop legacy. But that’s not fair, is it? He wasn’t really given kudos for that spirit though, despite PWL propping up that indie charts for many years. When did he last speak to Mike Stock and Matt Aitken? And how’s the relationship between you these days? Was there a specific moment in your life when you saw a performer and knew what you wanted to do next? He retains a love of pop all these years on. What was the last great acts he saw who he felt were on their way to deserved success? Anyone you’d still love to work with, who somehow slipped the net? What would your advice be to the next generation of emerging artists? And of what song attributable to yourself are you most proud? Yep. I’ve since gone back and checked, and it’s 332 million internet hits now for that particular track … and counting. There’s no arguing with that. Respect due. 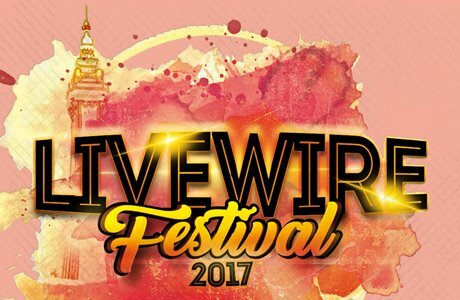 For the full line-up, tickets and more information about the Livewire Festival this August bank holiday at Blackpool’s Headland Arena, call the box office on 0871 220 0260, visit the official website or go to http://www.seetickets.com. This entry was posted in Books Films, TV & Radio, Music, Railways and tagged 911, Bananarama, Coventry, Jason Orange, Jerry Dammers, Jonas Blue, Kylie Minogue, Matt Aitken, Mike Stock, Neville Staple, Pete Waterman, Railways, Rick Astley, Stock Aitken Waterman, The Hit Man and Her, The Specials, Warrington, wolverhampton. Bookmark the permalink.